Brian Floca explores Apollo 11’s famed moon landing with this newly expanded edition of Moonshot! Simply told, grandly shown, and now with eight additional pages of brand-new art and more in-depth information about the historic moon landing, here is the flight of Apollo 11. Here for a new generation of readers and explorers are the steady astronauts clicking themselves into gloves and helmets, strapping themselves into sideways seats. Here are their great machines in all their detail and monumentality, the ROAR of rockets, and the silence of the Moon. Here is a story of adventure and discovery—a story of leaving and returning during the summer of 1969, and a story of home, seen whole, from far away. 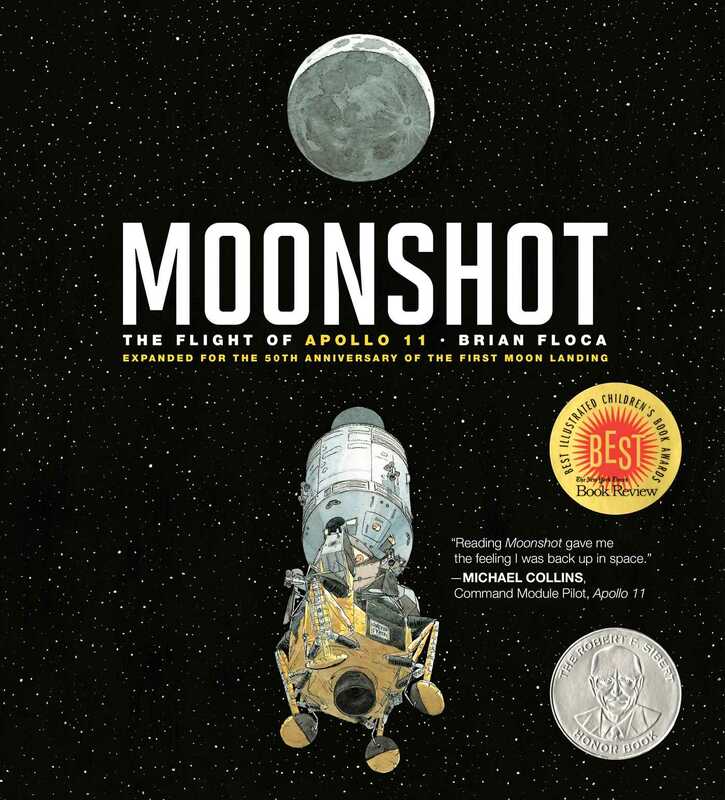 Brian Floca is the author and illustrator of Locomotive, winner of the 2013 Caldecott Medal; Moonshot: The Flight of Apollo 11, a Robert F. Sibert Honor Book and a New York Times Best Illustrated Book; Lightship, also a Sibert Honor Book; and Racecar Alphabet, an ALA Notable Children’s Book. He has illustrated Avi’s Poppy Stories, Kate Messner’s Marty McGuire novels, and Jan Greenberg and Sandra Jordan’s Ballet for Martha: Making Appalachian Spring, a Sibert Honor Book and winner of the Orbis Pictus Award. You can visit him online at BrianFloca.com.